Don’t forget to tune in today to WNAV Radio on 1430 AM or 99.9 FM @ 3:50pm to listen to Your Estate Matters with Attorney Paula M. Mattson-Sarli. The topic is How do you know if you’re working with qualified professionals? Our firm is dedicated to providing you with quality estate planning resources, so you can become familiar with all of the existing options. When you visit or call our office, we want you to feel comfortable discussing such an important issue concerning both you and your family. We want to arm you with the information you need to make an informed decision about your family’s future. Free Estate Planning Seminars Next Week! Register now! 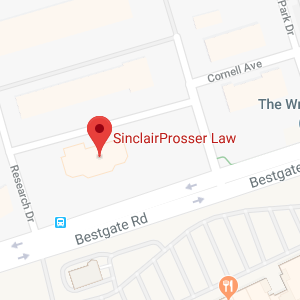 Everything about the SinclairProsser Law firm is top notch. The staff is very professional. The attorneys are extremely knowledgeable and capable. My experience let me know the SinclairProsser Law firm is the best in its field. The information on this Maryland Attorneys & Lawyers / Law Firm website is for general information purposes only. Nothing on this or associated pages, documents, comments, answers, emails, or other communications should be taken as legal advice for any individual case or situation. This information on this website is not intended to create, and receipt or viewing of this information does not constitute, an attorney-client relationship.